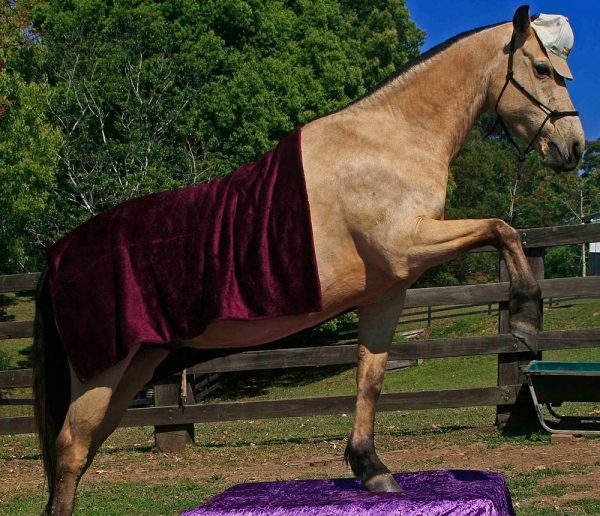 New England Brumby Sanctuary is situated halfway between Armidale and Guyra on the Northern Tablelands of NSW. With natural country, similar to the regions where the horses free roam, the sanctuary has excellent facilities for managing the horses. We hold open days for the public as horses become available for adoption. Visitors enjoy seeing the horses handled by our experienced personnel. Mountain Thyme is in Bellingen on the mid north coast of NSW. Here we care for disadvantaged horses in our VIP Sponsorship program. The horses enjoy meeting people and are quiet and friendly. Visitors are welcome by appointment; a donation for volunteers’ time is appreciated. Our horsemanship clinics are held at Mountain Thyme and we periodically hold education days for school and TAFE students.